are available in west/central MAINE as well as in VT and NH. I am portable, so if you live elsewhere, contact me, and I’ll see if I can come to you. Diet for Diabetes: single cooking/nutrition class, 4-week or 8-week series, or 1/2-day workshop. Diet & Dementia: single cooking/nutrition class based on Dr. Barnard’s book Power Foods for the Brain on avoiding Alzheimer’s. Beyond The Basics: single cooking class for those who have already taken another series. *Employee Wellness Program classes are 60-90 minutes during lunch. 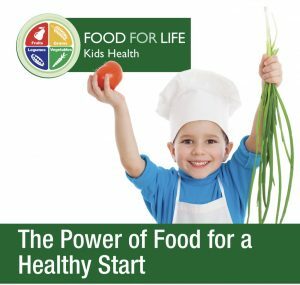 Food For Life is an award-winning program developed by the physicians, dietitians and nutritionists at The Physicians Committee for Responsible Medicine (PCRM.org). All information presented is evidence-based fact and not anyone’s opinion. Let me know where I can present this eye-opening Power Point & discussion. I’ll come to you in VT, NH and elsewhere. Let’s talk. Food is the #1 cause of disease, disability, and death in the U.S., yet nutrition is not taught in most medical schools. Join us to learn the facts about food, our healthcare system, and how we can all benefit from the Power of Plants. Note: contact Beth to schedule this presentation in your area. This event was held on Thursday, March 21, 2019. Join the conversation about conservation and sustainability. I spoke on the subject of FOOD CHOICES and sustainability. I will be among the speakers, AND do a cooking demonstration, AND have a table full of literature from PCRM. Look for my FOOD FOR LIFE table. Come see how easy it is to find healthy plant-based foods in the Mountains of New Hampshire and Vermont. Find local sources of eco-friendly and cruelty-free products. Learn about the science behind the benefits of a plant-based diet. Featuring expert speakers, cooking demos, vendors, and animal rescues – with entertainment and activities for the whole family! Don’t see a class in your area? Food For Life classes can come to you! I can fly or drive nearly anywhere, so JUST ASK, and I may be able to accommodate you elsewhere. To find Food For Life classes nationwide, click here.